Register Log In ECN Forum Forums Photos for General Discussion Check these out! 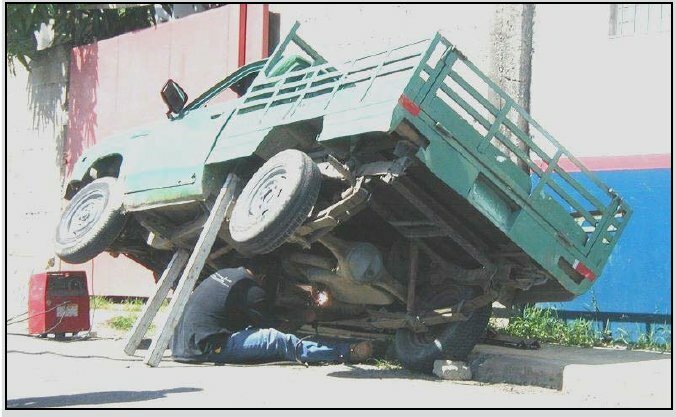 I'm not too sure if that guy in the top pic is welding the gas tank on that truck or not, what do you think?. Is there another picture of that little truck launching over the fence? I want to know how he got the truck up that high? The Incredible Hulk, of course! That's why the green truck with the green license plate. 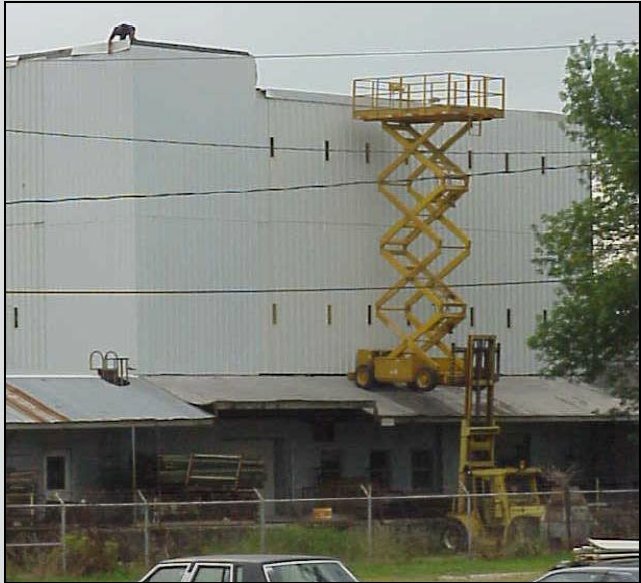 Should`nt the guy on the roof have a safety line on and hard hat? Also,does that welder do side jobs? Check out rock103.com picture of the week archives for the first pic. I'm not actually sure who took the photo's. They were posted at a Occ Health and Safety Forum in Australia. How did they get that scissor lift up there, in the first place?. Also, I'd sort of hope that that section of lean-to roof, is well anchored to the wall of the building!. One last point, I can't help but think, that there is some sort of an exit/entry/fire escape to the left of the pic, that's been covered up by a new sheet of siding, where that ladder goes through the roof of the lower section. Anyone else get that feeling?.